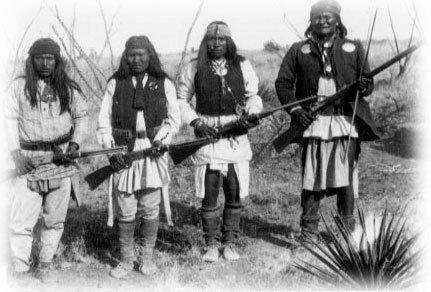 Cochise Stronghold was the winter home of Chief Cochise and the Chiricahua Apache. 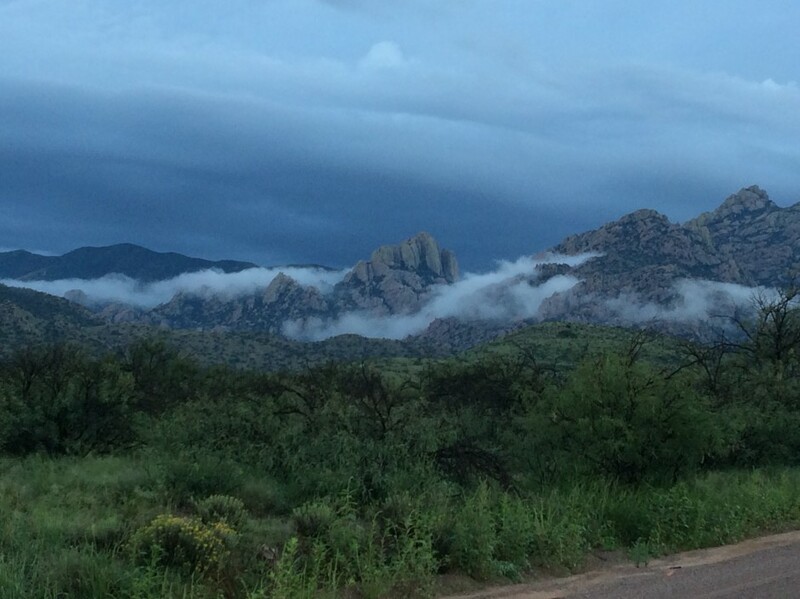 The area was termed a “stronghold” as Cochise led his people to the safety of this beautiful mountain fortress during the defense of their homeland from 1852 – 1872. Weldon Heald coined the term “sky islands” in 1967 to denote mountain ranges that are isolated from each other by intervening valleys of grassland or desert. The valleys of this basin and range country act as barriers to the movement of certain woodland and forest species, somewhat like saltwater seas isolate plants and animals on oceanic islands – hence the common association with the archipelago phenomenon. Other species, such as mountain lions and black bears, depend on movement corridors between mountain islands to maintain genetic diversity and population size. These mountain “islands” … are among the most diverse ecosystems in the world because of their great topographic complexity and unique location at the meeting point of several major desert and forest biological provinces. The [overall sky island] region is a blend of tropical and temperate, harboring well over half the bird species of North America, 29 bat species, over 3,000 species of plants, and 104 species of mammals–a diversity exceeding anywhere else in the U.S.
For many centuries, nomadic people lived in this lush canyon gathering acorns from the oak trees, juniper and manzanita berries, pinon nuts, agave, prickly pear tunas and pads. Numerous grinding stones and sites can be found where these foods were roasted and/or ground into meal. Rock overhangs where sentinels once guarded the canyon may be found with exquisite pictographs, some dating back at least a thousand years. Nearby historic sites include Butterfield Stage Station at Dragoon Springs located in the northern part of the Dragoons. Fort Bowie and Apache Pass are at the north end of the Chiricahua Mountains, a one hour drive from here, through scenic high desert grasslands. Pearce was once a thriving gold mining community, but now a ghost town with a small arts community and school. The original post office, general store and adobe jail are still standing. An incredible selection of goats milk soap is handcrafted at Marcia’s Garden, and unique pottery made at Old Pearce Pottery. These businesses are located in historic buildings of Old Pearce under the backdrop of the gold mine ruins carved into the hillside. Courtland, Dos Cabezas and Gleeson are other ghost-towns in our immediate vicinity. 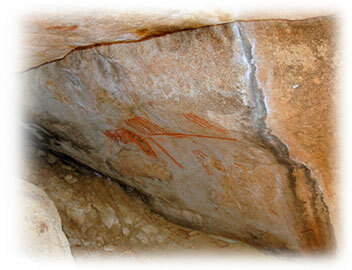 The Amerind Foundation (see our links page) in Texas Canyon is only 30 minutes away. This museum features a collection of American Indian artifacts. The magnificent adobe buildings are a wonderful example of southwestern architecture. Bisbee and Tombstone are both active communities with rich histories and great shopping. Bisbee is an enchanting “turn of the century” mining town with quaint homes built on the steep hillsides. Bisbee also has several highly acclaimed restaurants. 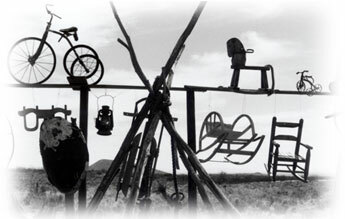 Tombstone, “the town too tough to die” is a popular tourist attraction which can be reached by several ways including the scenic drive over “Middle March Pass”. Our favorite in Tombstone, is the world’s largest rose – the Tombstone Rose, otherwise known as the “Lady Banksia” rose. “Cochise” by Edward Sweeney, “Once They Moved Like the Wind” by David Roberts, and the historical novels “Watch for Me on the Mountain” by Forest Carter, the story of Geronimo as a warrior shaman, written by a Native American. “Blood Brother” written by Eliot Arnold was made into the feature film, “Broken Arrow” starring Jimmy Stewart. 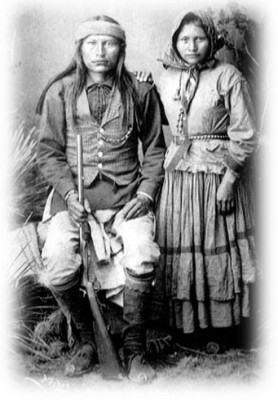 This is the historical story of Tom Jeffords and Chief Cochise’s friendship. For readers and history buffs we also recommend a trip to “Singing Winds”. This bookstore with an amazing collection of western literature, is located on a beautiful ranch just a few miles north of Benson, down the San Pedro river.